We like having visitors to Danesmoor House, especially Suzy Youldon from Crown Street Library. Not only did Suzy come and do a story rhyme time, pictured above being as thin as a pin, she also brought in the book start packs for those children starting school in September. Suzy will make regular visits to the preschool, telling stories and promoting the library. She is absolutely brilliant with the children. 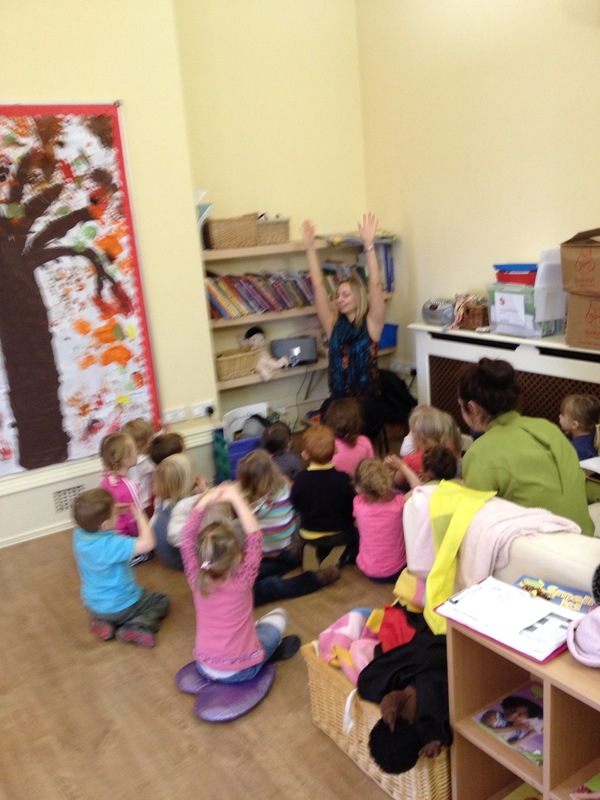 She has tonnes of energy and the children really look forward to her visits. The Crown Street Library team are an invaluable resource to us as a setting and as parents. If your child has enjoyed the visit today, Suzy also runs a free story and craft session on a Saturday morning at Crown Street Library. 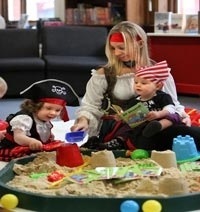 Pictured below playing in the sand dressed as a pirate! Sessions start at 10:30am.